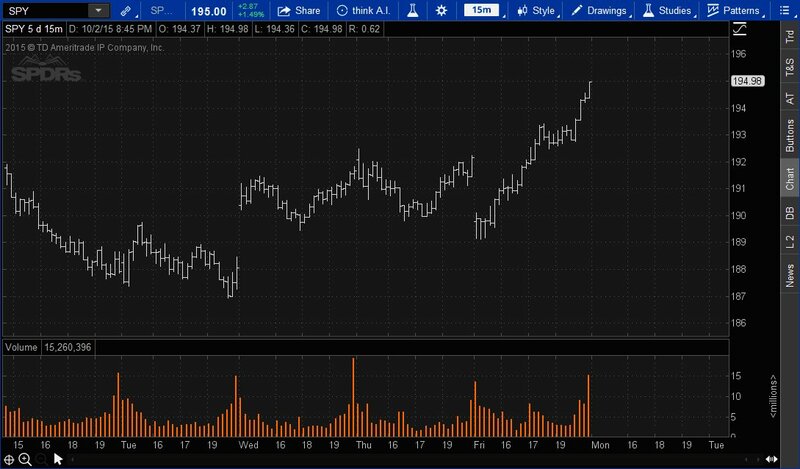 Above is a daily price chart of Apple (AAPL). 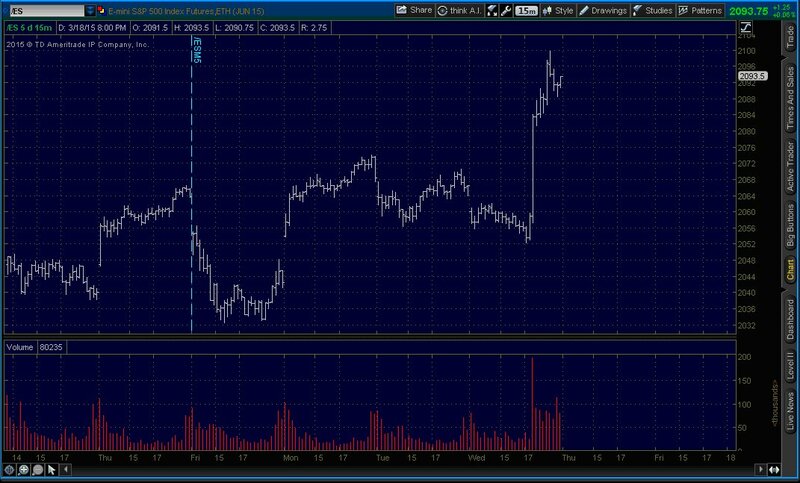 Knowing that a rally was likely at the 4 point, a WW trader could have made a bet with a weekly AAPL call option. Huge profits are possible with weekly options as there is relatively little time premium. It is all about knowing the probable direction and probable time frame. 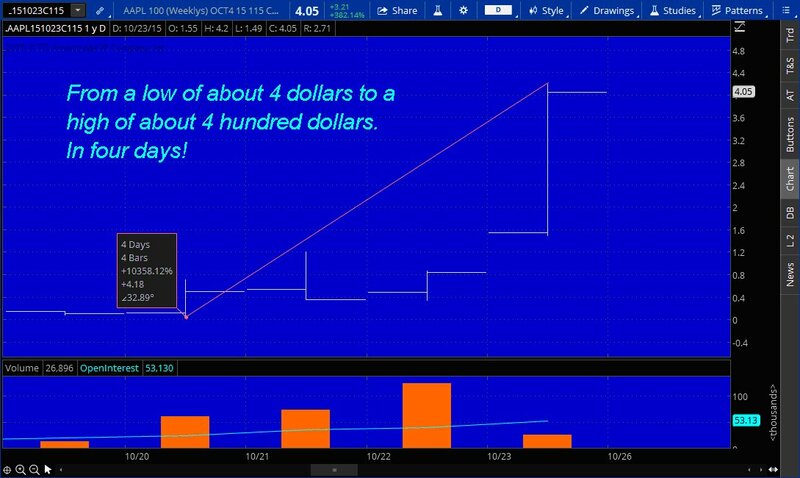 Huge gains in AAPL weekly options are only one possibility with hundreds of weekly options on active stocks. 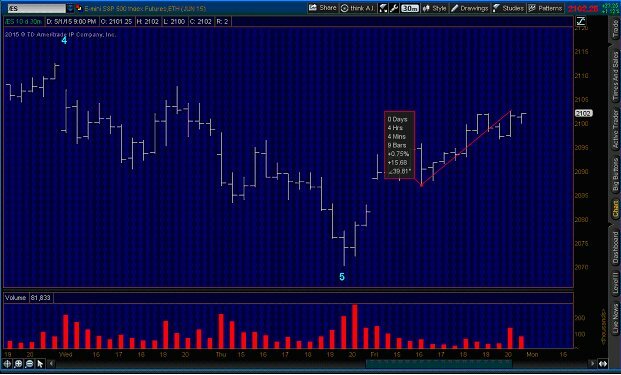 The chart below is a corresponding weekly call option on AAPL. These are lottery-like returns for an educated trader. Sign up now to learn my Wolfe Wave methodology. The course is easy to learn in a two-week period. And, I am an excellent teacher. See what others say. Above is a 15-minute chart of the SPY with a perfect bullish Wolfe Wave (lines not drawn). Can you see the Wave? Probably not if you have not taken my course. 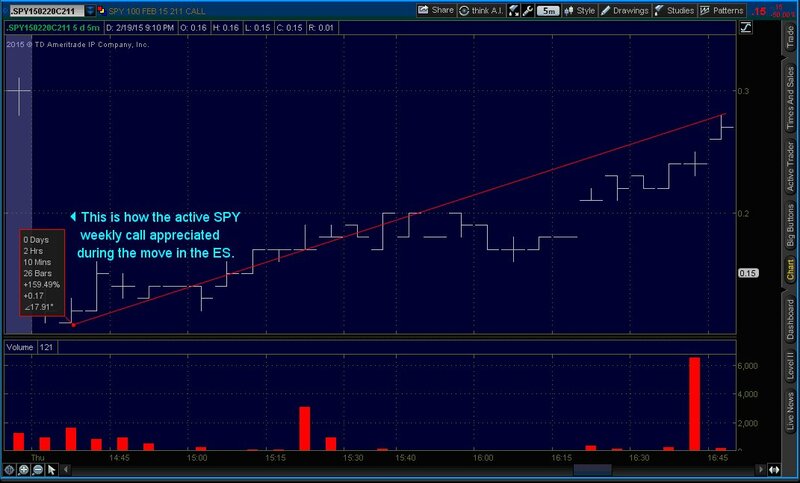 Not only is the Wave perfect, but it also occurred on a Friday, “pay day” for weekly SPY option traders as the time premium is almost nothing. The chart below is a corresponding SPY call option. Go ahead; fantasize how much you could have made had you been aware of this perfect Wolfe Wave. This is a partial chart of a Wolfe Wave that I taught to students. We were tracking the developing wave two days prior to the 5 point. When the S&P (ES) bottomed at the 5 point it signaled a very large rally was about to start. On Friday, the performance box indicates the potential gain that was only a small part of the up move. The chart below is a corresponding SPY weekly call chart of the highlighted move above. 0 Days, 4 Hrs, 5 Mns, 50 Bars, +602.29%, +0.65. - Enormous gains are possible to the trader that knows the direction of the market on any day, and particularly on Friday, when there is very little time premium in the options. 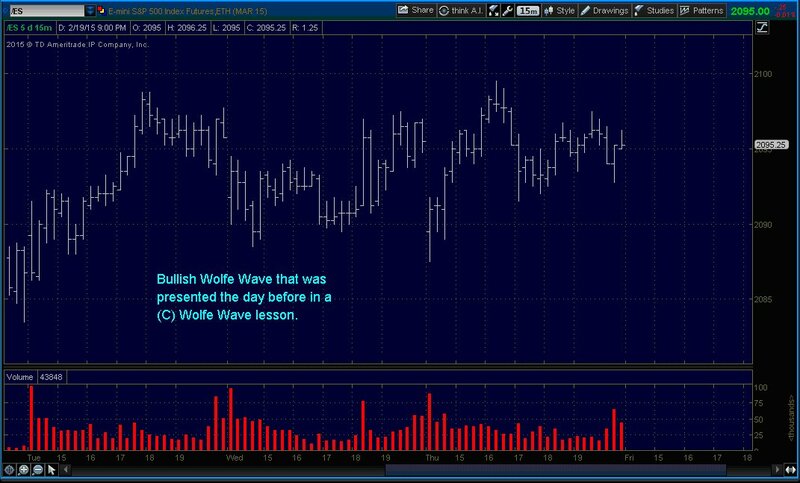 Above is a partial chart of a bearish Wolfe Wave on a 30-minute time frame that I alerted students to. The 5 point is the sell area. The dashed line was drawn in as a likely turning point—two days in advance. 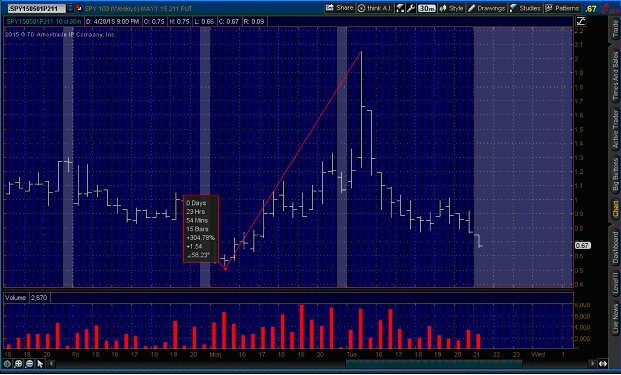 Below is a partial chart of the corresponding most active SPY weekly put option for that move, with a window on potential results. 0 days, 23 Hrs, 54 Mns, 15 Bars, +304.78%, +1.54. - An out-of-the-money option could have increased the results ten-fold. FOMC days are often amusing for TV watchers. The analysts all get a chance to poke fun at each other for their predictions. For Sophisticated WW traders (that’s us) it is opportunity. While TV interprets the “Fed-speak”, Wolfe Wave practioners are already positioned. “BAM!” Right at the bottom is the “announcement.” On the above chart can you see the beautiful 5 point of a bullish wave? If you can, or can’t, I can teach you how to exploit it beyond your imagination. 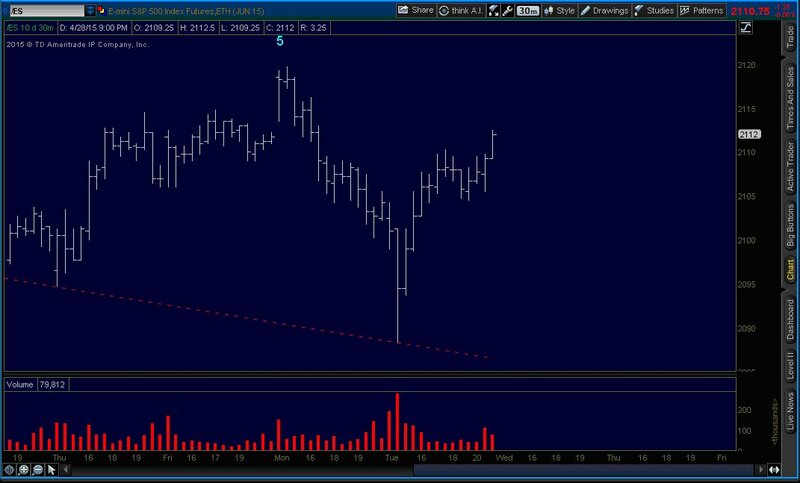 Below is a SPY weekly call chart, with a move that magnifies the move in the above ES chart tenfold. Can you see the wave? If you were one of my students during the week of 2/18/15 it would have been crystal clear to you. The numbers and target line was drawn for you the day before! Below is the corresponding SPY weekly option call chart. Precisely, at the bottom ($11) was the 5 point for a bullish wave that was presented to students the day before. 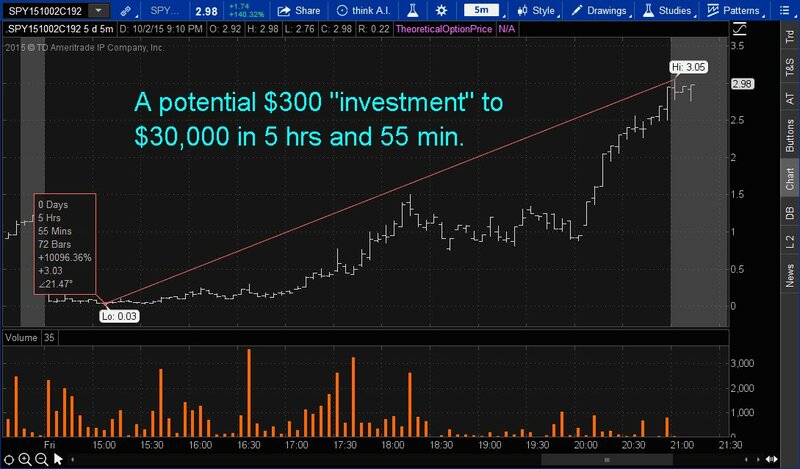 Precisely, at the top ($28) was the target line which was drawn for students the day before. If you cannot read the performance box, I will read it for you: Time: 2 hrs and 10 minutes. Gain: 159.49 %. 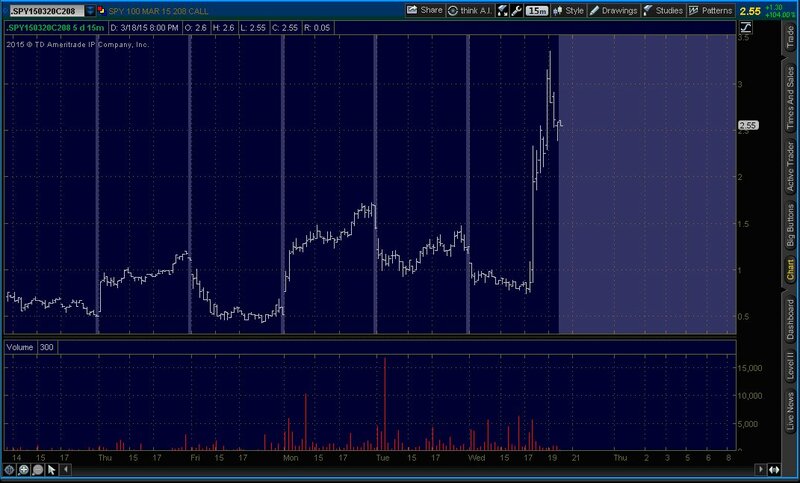 This is a 5-minute chart of a SPY weekly call option on a Friday, when the leverage is the greatest. The buy area was the 5 point for a bullish Wolfe Wave. Another benefit of the SPY weeklies is that the volume is exceedingly accommodating. Above is the accompanying ES chart to the SPY weekly option. By combining Wolfe Wave and SPY weekly options, opportunities like this happen on a weekly basis. 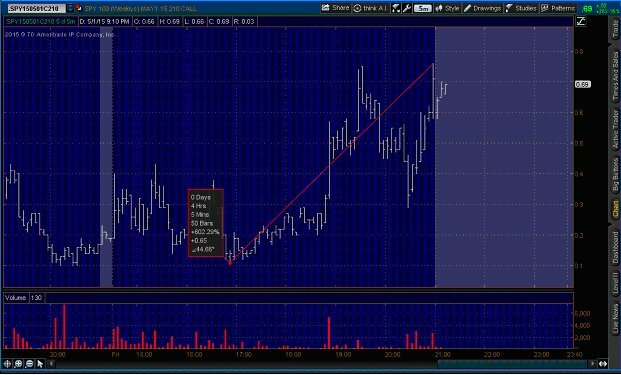 It is all about using the precise timing that Wolfe Wave offers with the leverage that put and call options offer. 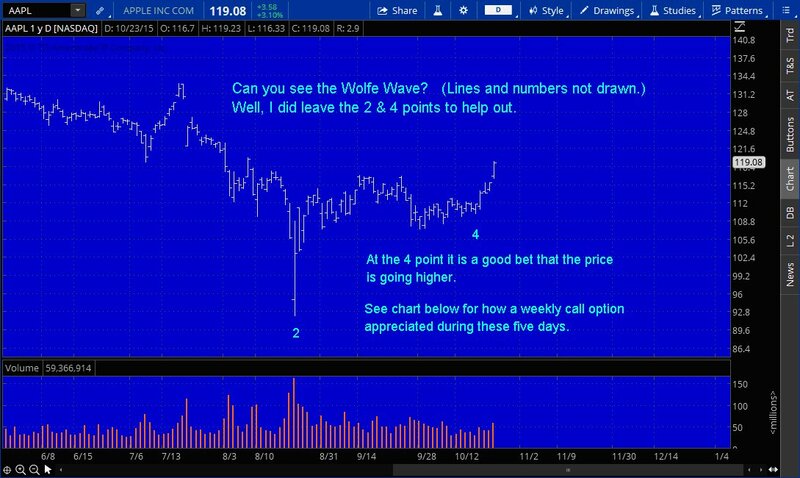 No need to get into complicated option strategies; simply buy the put or buy the call that matches the Wolfe Wave on the SPY. Yes and no was my answer. Magic is a term people put on something they can’t understand. It becomes science once it’s understood. The Wolfe Wave identifies the proper balance point between time and space (price). This concept is not yet understood and therefore not accepted by most people. It becomes science once it’s understood.